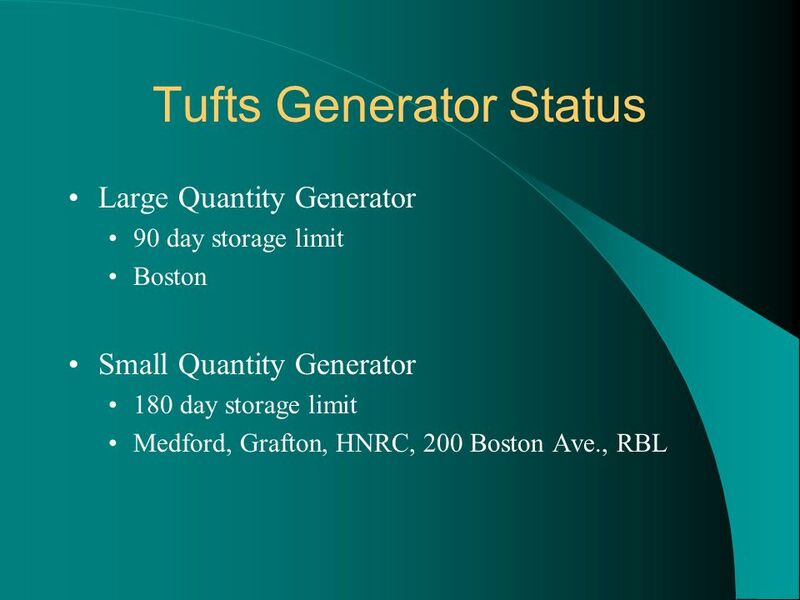 Tufts University Annual Safety Training. 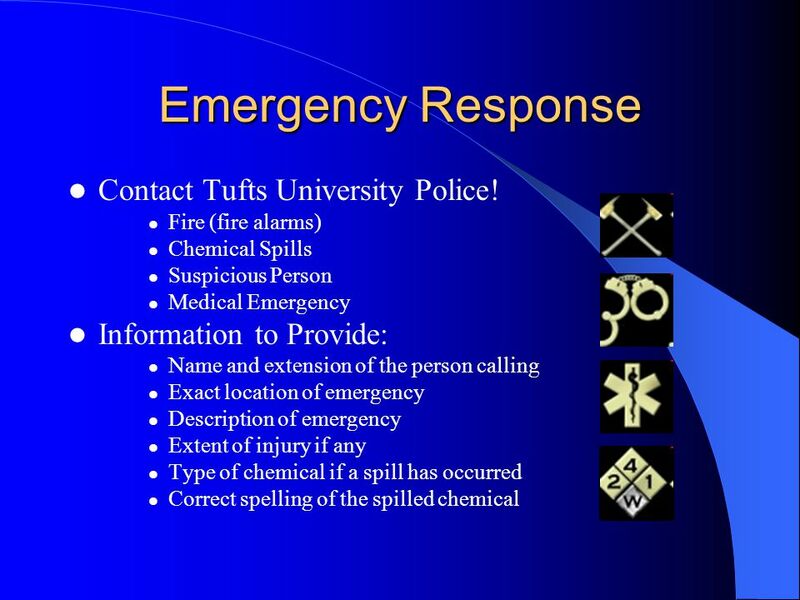 7 Emergency Response Contact Tufts University Police! 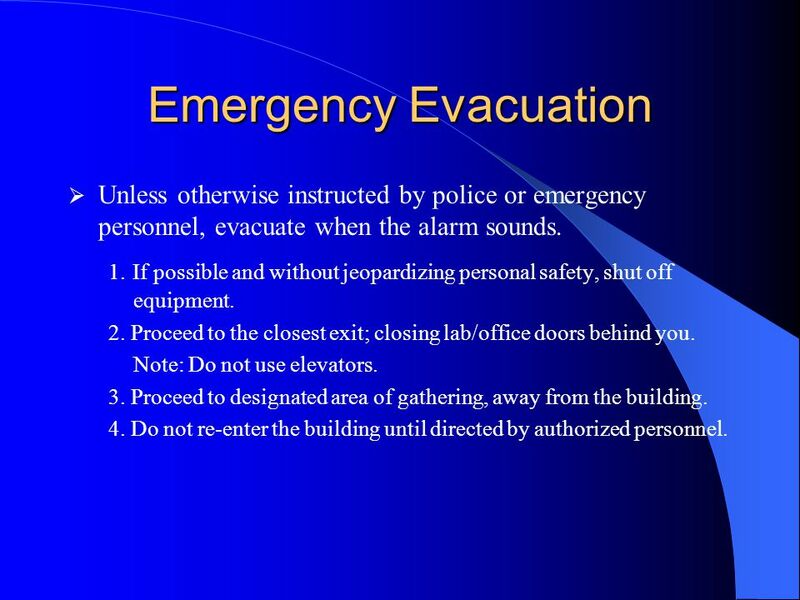 8 Emergency Evacuation Unless otherwise instructed by police or emergency personnel, evacuate when the alarm sounds. 1. If possible and without jeopardizing personal safety, shut off equipment. 2. Proceed to the closest exit; closing lab/office doors behind you. Note: Do not use elevators. 3. Proceed to designated area of gathering, away from the building. 4. Do not re-enter the building until directed by authorized personnel. 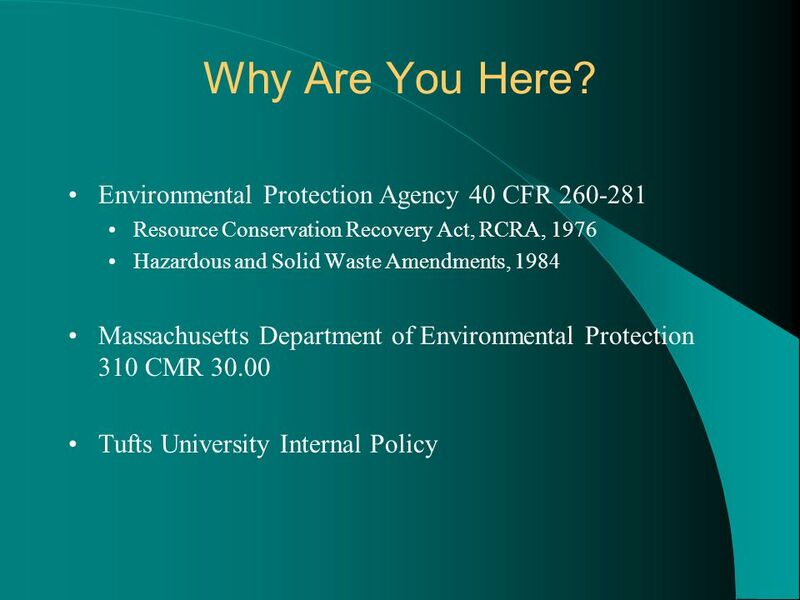 Established in 1983 by the Federal Government to protect employees from hazardous materials. 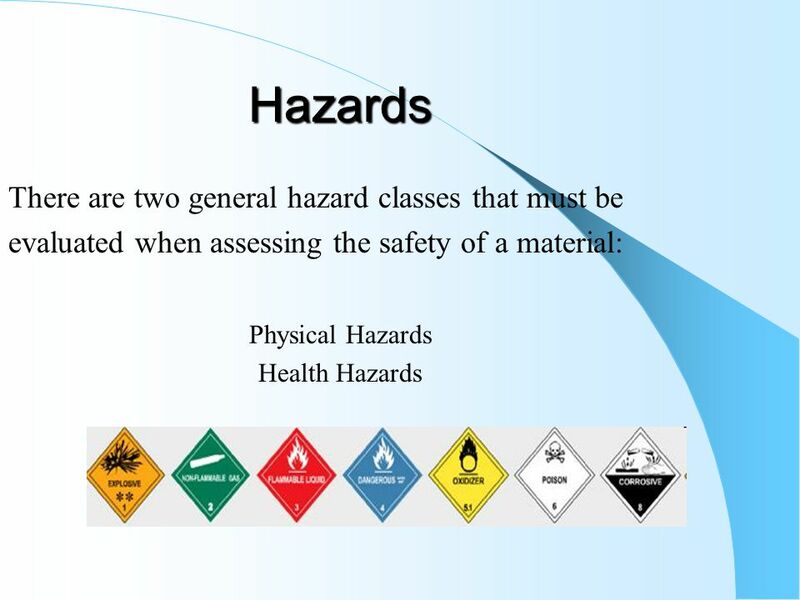 The standard requires companies which produce or use hazardous materials to provide employees with information and training on the proper use and handling of these materials. 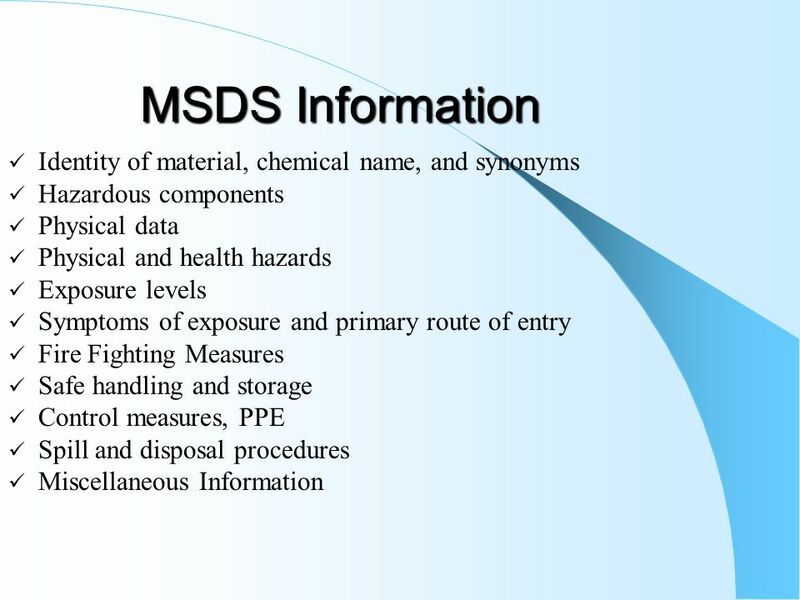 The primary objective is for the employee to know how and where to find specific information on hazardous materials. 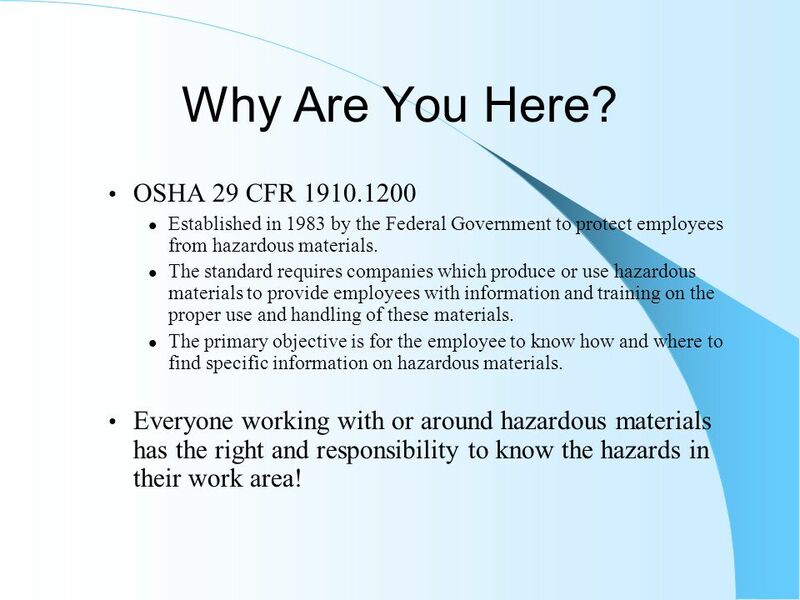 Everyone working with or around hazardous materials has the right and responsibility to know the hazards in their work area! 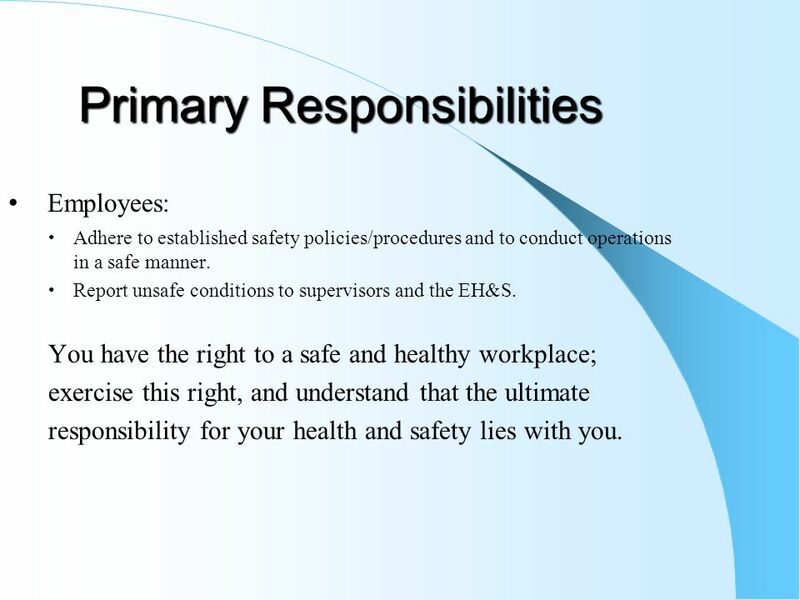 Employees: Adhere to established safety policies/procedures and to conduct operations in a safe manner. 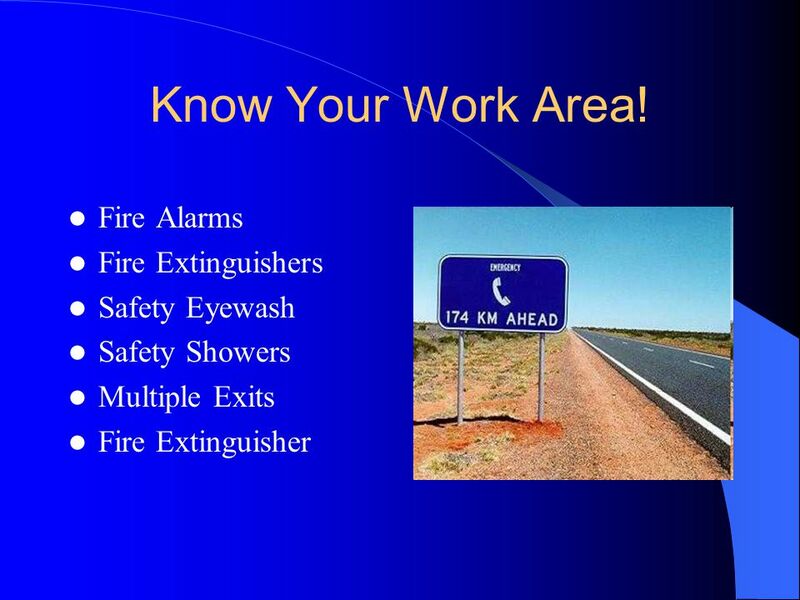 Report unsafe conditions to supervisors and the EH&S. 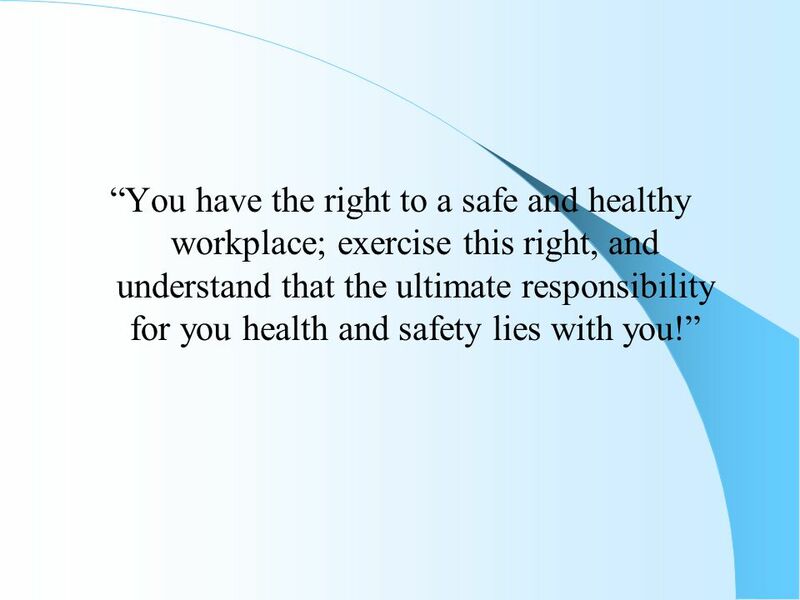 You have the right to a safe and healthy workplace; exercise this right, and understand that the ultimate responsibility for your health and safety lies with you. 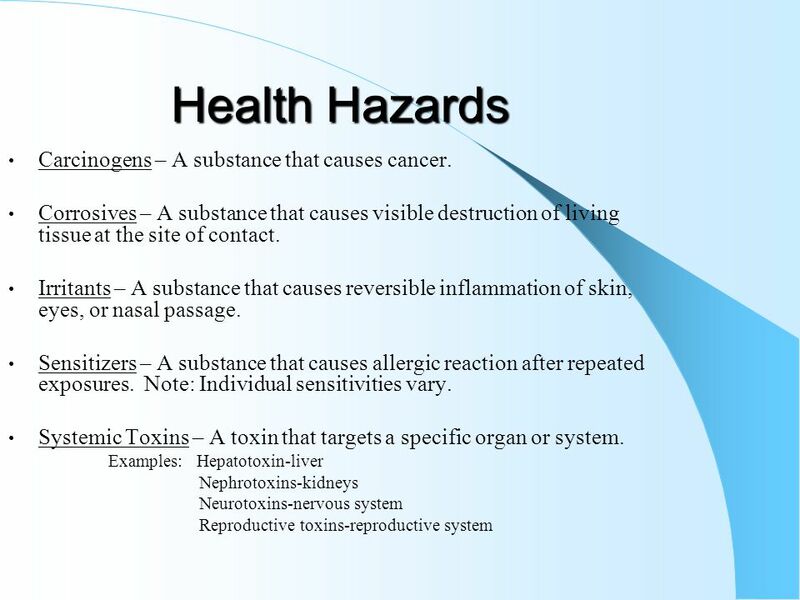 18 Health Hazards Carcinogens – A substance that causes cancer. Inhalation Dermal Absorption Ingestion Injection Working with or around hazardous substances does not necessarily mean that a person’s health will be effected. 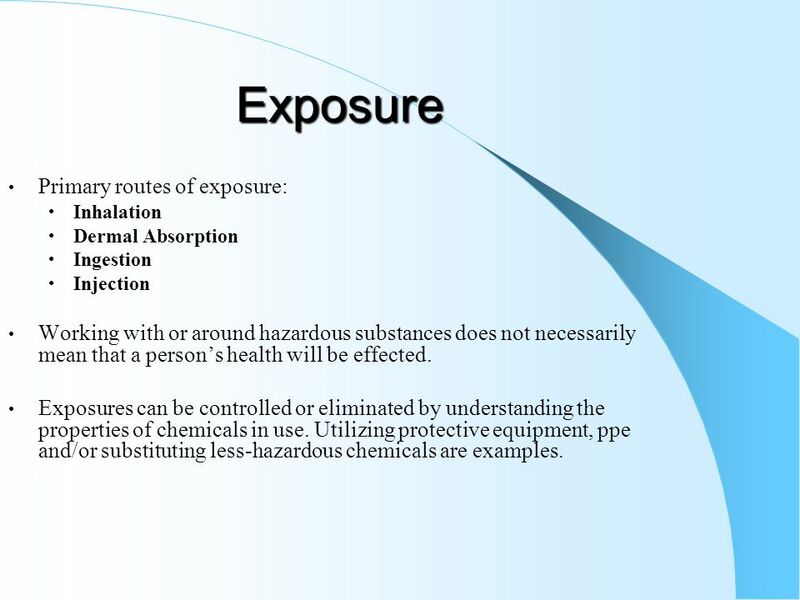 Exposures can be controlled or eliminated by understanding the properties of chemicals in use. 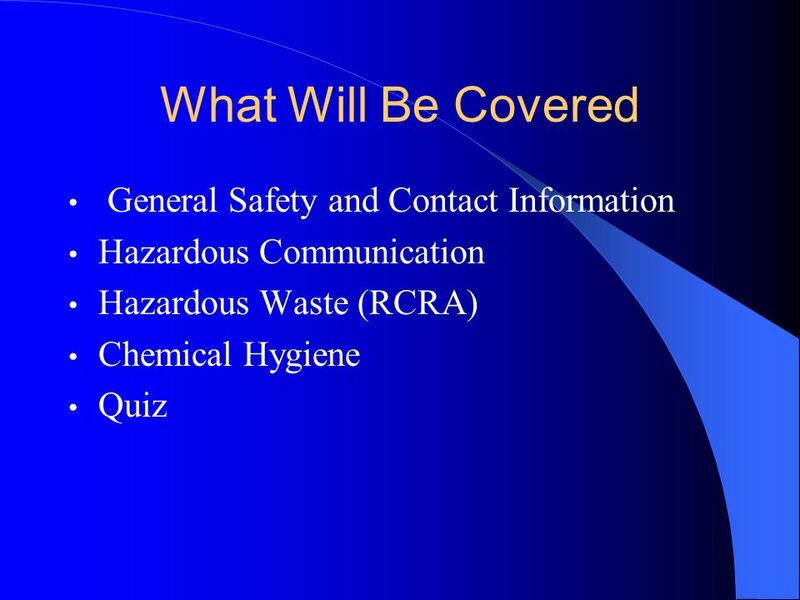 Utilizing protective equipment, ppe and/or substituting less-hazardous chemicals are examples. 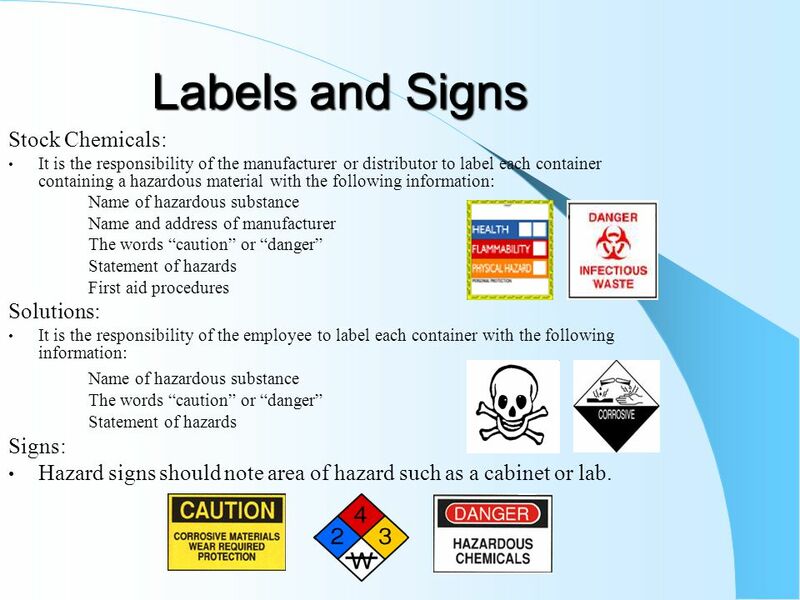 It is the responsibility of the manufacturer or distributor to label each container containing a hazardous material with the following information: Name of hazardous substance Name and address of manufacturer The words “caution” or “danger” Statement of hazards First aid procedures Solutions: It is the responsibility of the employee to label each container with the following information: Signs: Hazard signs should note area of hazard such as a cabinet or lab. 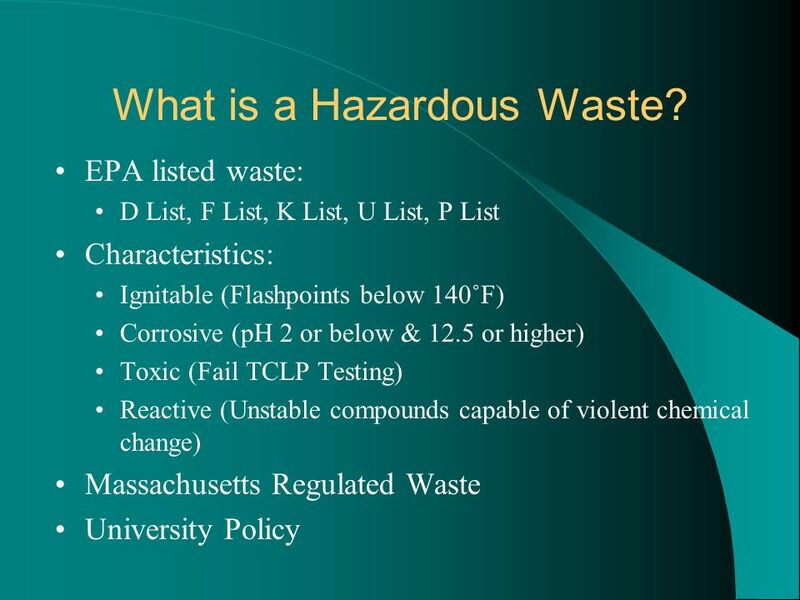 27 What is a Hazardous Waste? 28 When is it considered Waste? Chemicals have become obsolete because of questionable purity or discontinued usage. Shelf-life expiration dates have been exceeded. 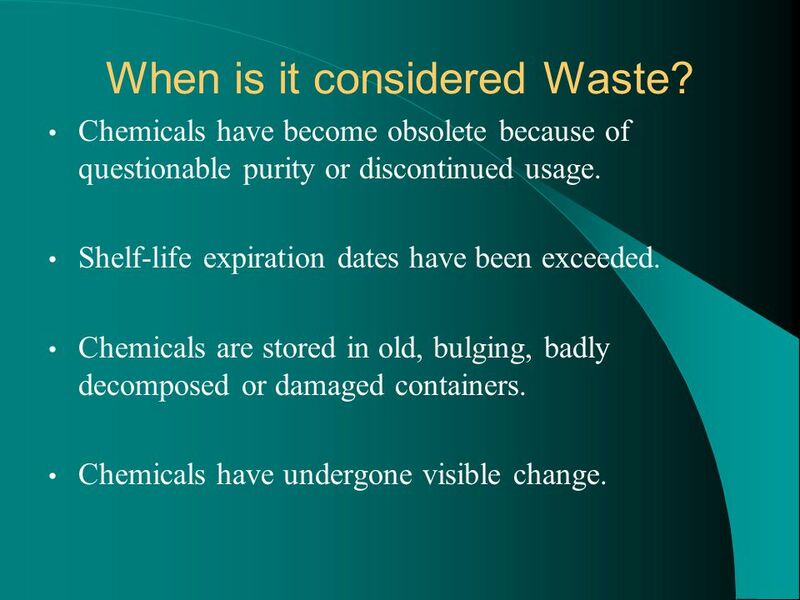 Chemicals are stored in old, bulging, badly decomposed or damaged containers. Chemicals have undergone visible change. 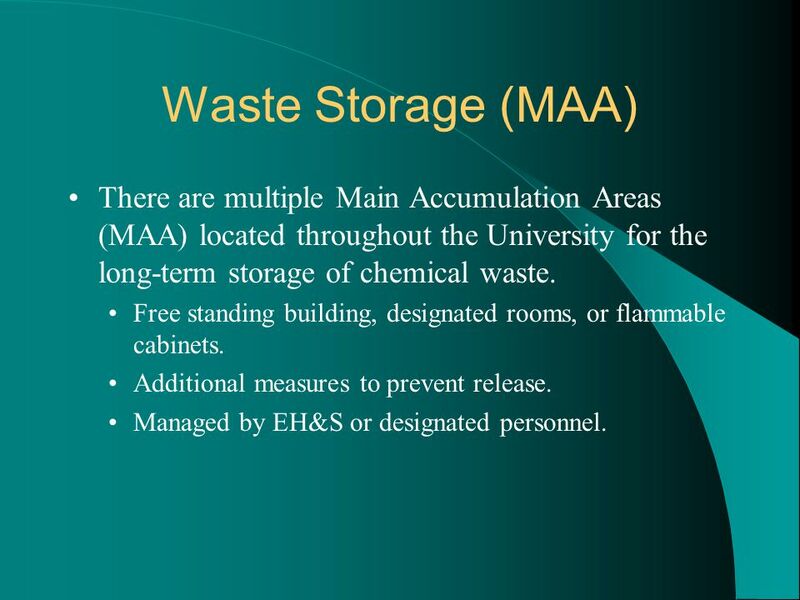 30 Waste Storage (MAA) There are multiple Main Accumulation Areas (MAA) located throughout the University for the long-term storage of chemical waste. Free standing building, designated rooms, or flammable cabinets. Additional measures to prevent release. 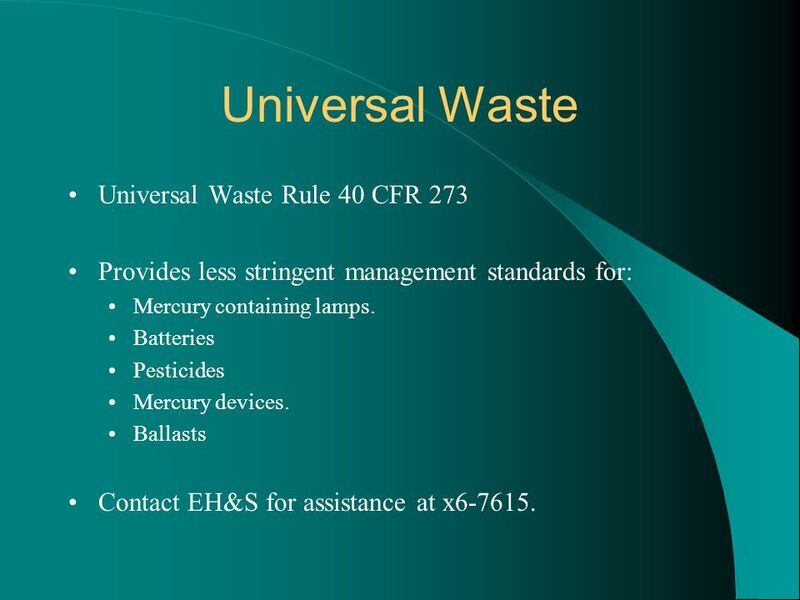 Managed by EH&S or designated personnel. Containers should be located in secondary containment. Containers should be in adequate condition. No leaks. Containers should be tightly closed. No parafilm or foil. 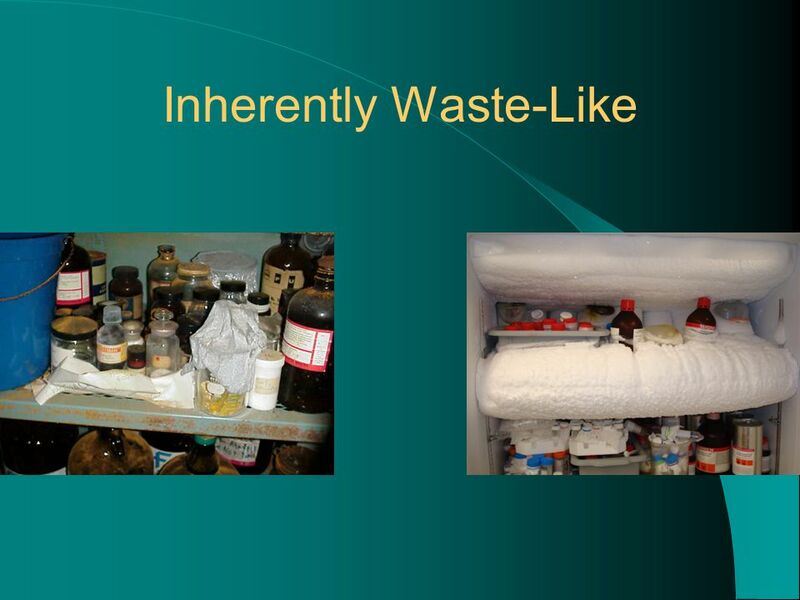 Containers should be compatible with waste. 34 SAA Management Non-waste material should not be located in the SAA. 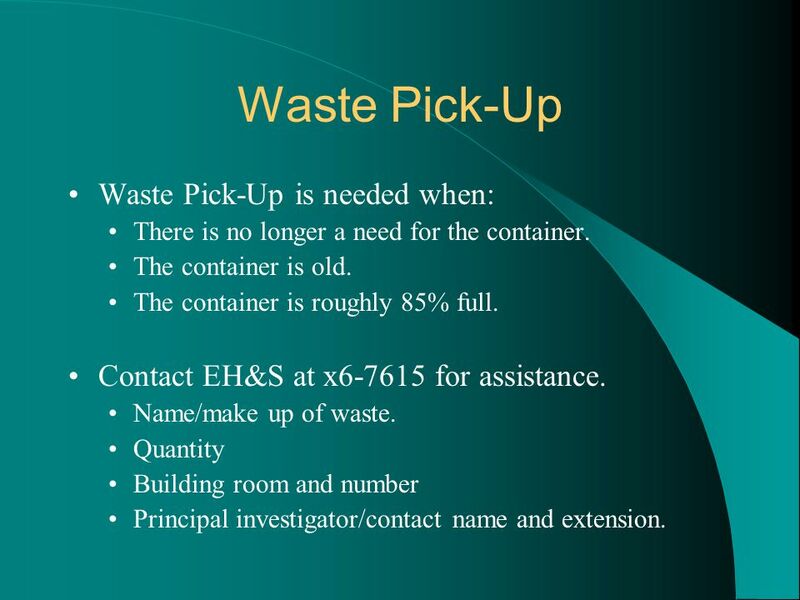 Dated waste containers should be picked up and transported to a MAA within 3 days. Contact EH&S at x for assistance. 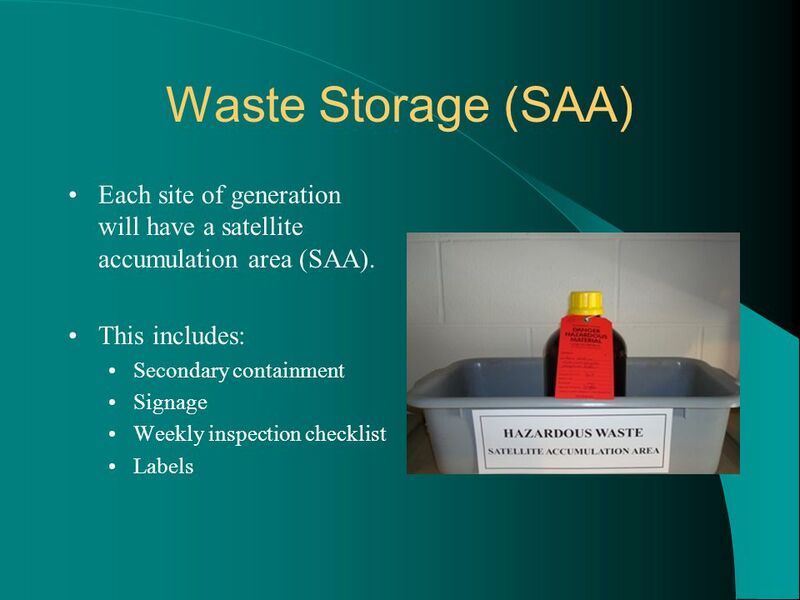 There should not be multiple containers of the same waste in a SAA. Keep SAA free of obstructions. Updated inspection checklist. Date and Sign Weekly. There is no longer a need for the container. The container is old. The container is roughly 85% full. 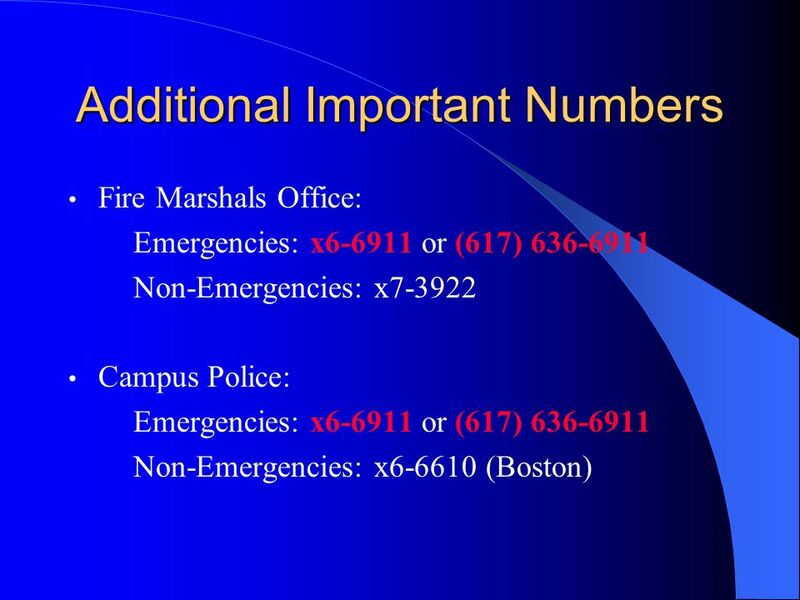 Contact EH&S at x for assistance. Name/make up of waste. Quantity Building room and number Principal investigator/contact name and extension. 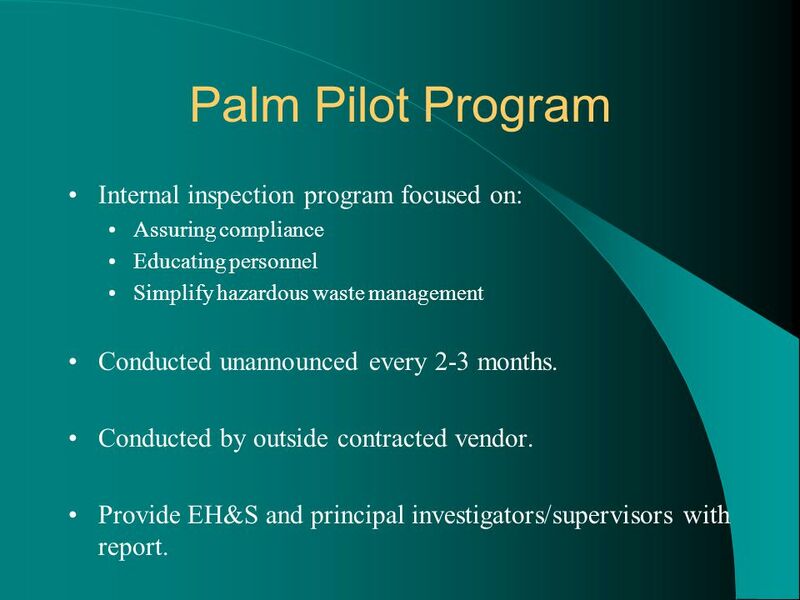 Assuring compliance Educating personnel Simplify hazardous waste management Conducted unannounced every 2-3 months. Conducted by outside contracted vendor. 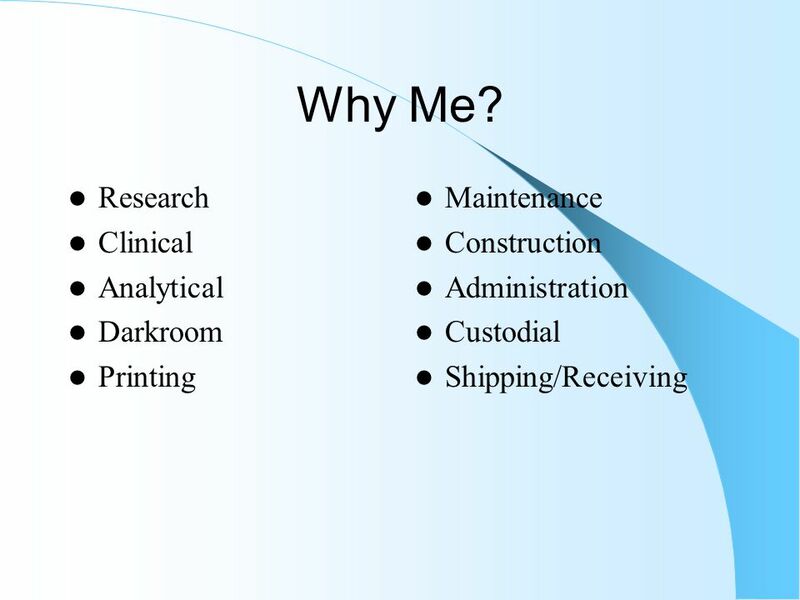 Provide EH&S and principal investigators/supervisors with report. 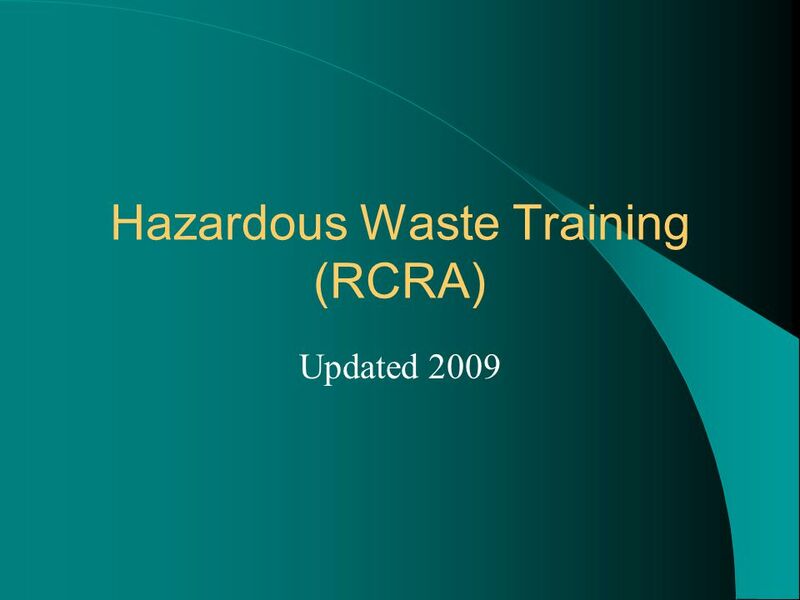 38 Conclusion This is a required annual training for personnel who generate or manage hazardous waste. 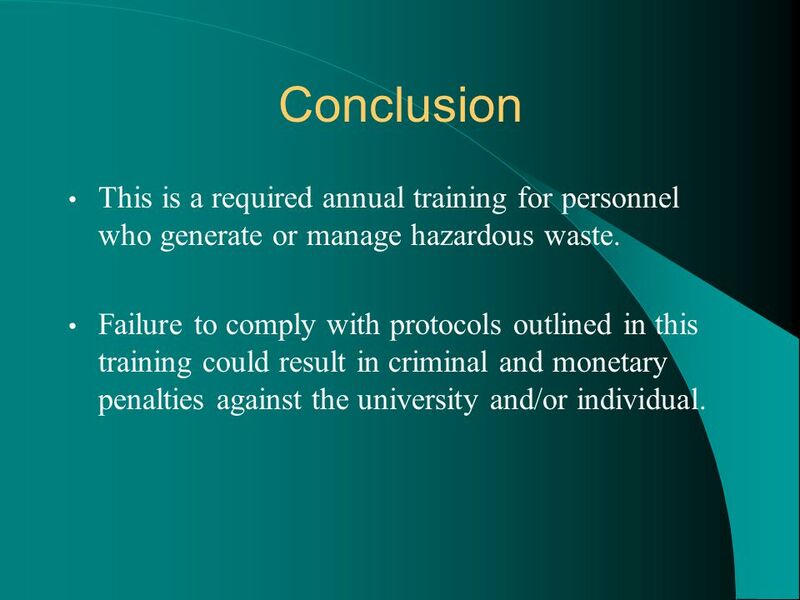 Failure to comply with protocols outlined in this training could result in criminal and monetary penalties against the university and/or individual. 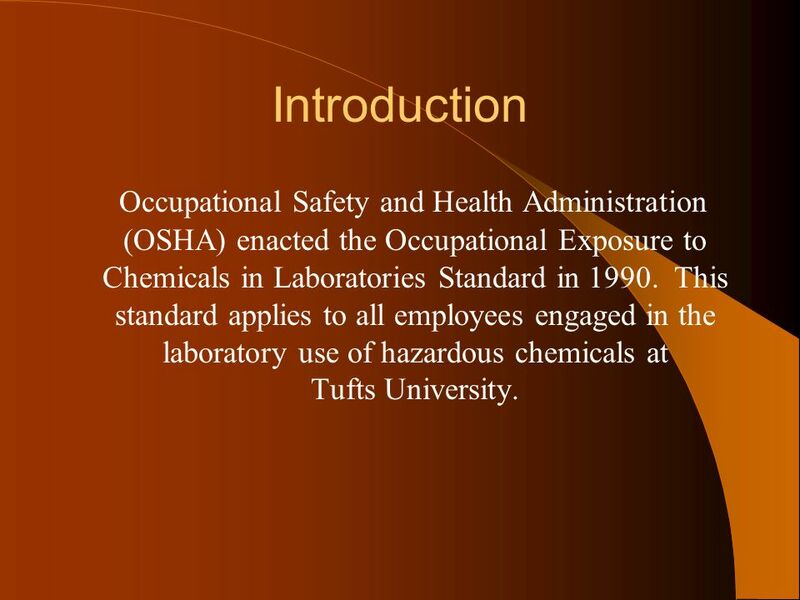 40 Introduction Occupational Safety and Health Administration (OSHA) enacted the Occupational Exposure to Chemicals in Laboratories Standard in This standard applies to all employees engaged in the laboratory use of hazardous chemicals at Tufts University. 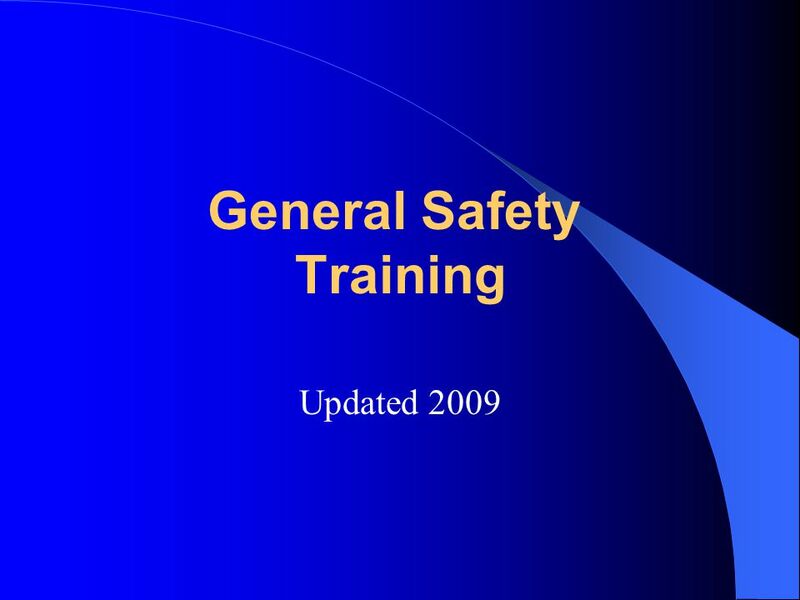 Employee safety information and training program is reviewed regularly. Chemical Hygiene training should be conducted prior to working in the lab. Basic refresher training is offered annually by the Environmental Health and Safety Department, either on line or via traditional classroom style trainings. 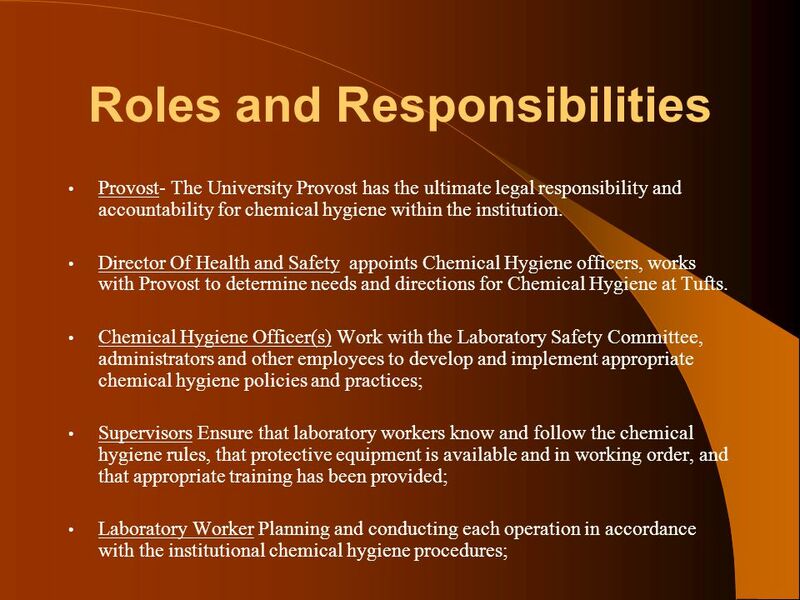 It is the responsibility of the PI or Supervisor to conduct lab and tasks specific training that builds on the general concepts identified in the basic chemical hygiene trainings. Do you understand how your hood works to protect you? 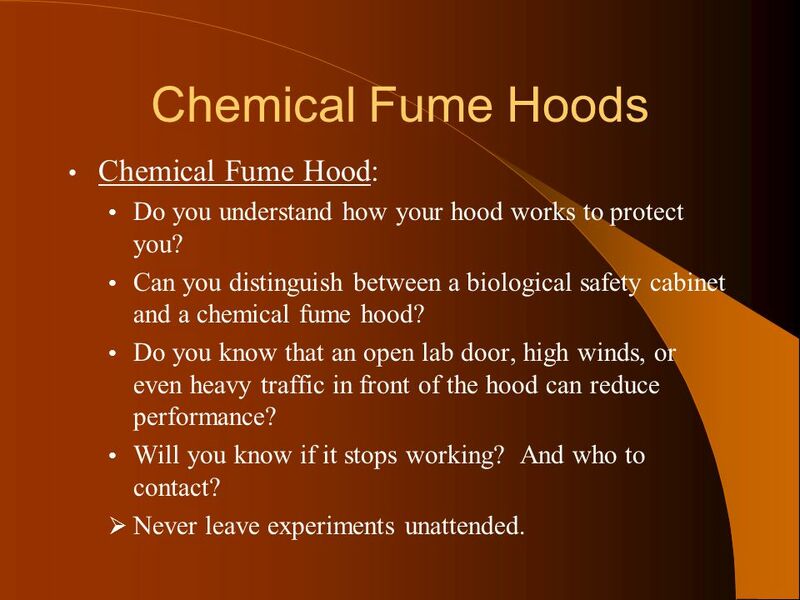 Can you distinguish between a biological safety cabinet and a chemical fume hood? Do you know that an open lab door, high winds, or even heavy traffic in front of the hood can reduce performance? Will you know if it stops working? And who to contact? Never leave experiments unattended. Eyewash Station: Do you know where the nearest eyewash station is located? Do you know how to use it? Is it free from obstructions? Is the eyewash being flushed weekly to drain sediment buildup and rust? 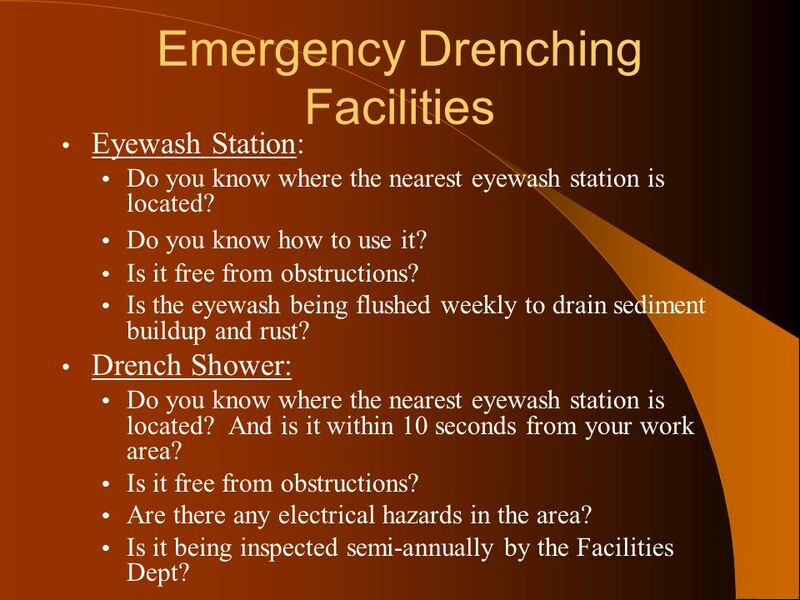 Drench Shower: Do you know where the nearest eyewash station is located? And is it within 10 seconds from your work area? Are there any electrical hazards in the area? Is it being inspected semi-annually by the Facilities Dept? 46 Chemical Spill Kit Every laboratory has at least one chemical spill kit. 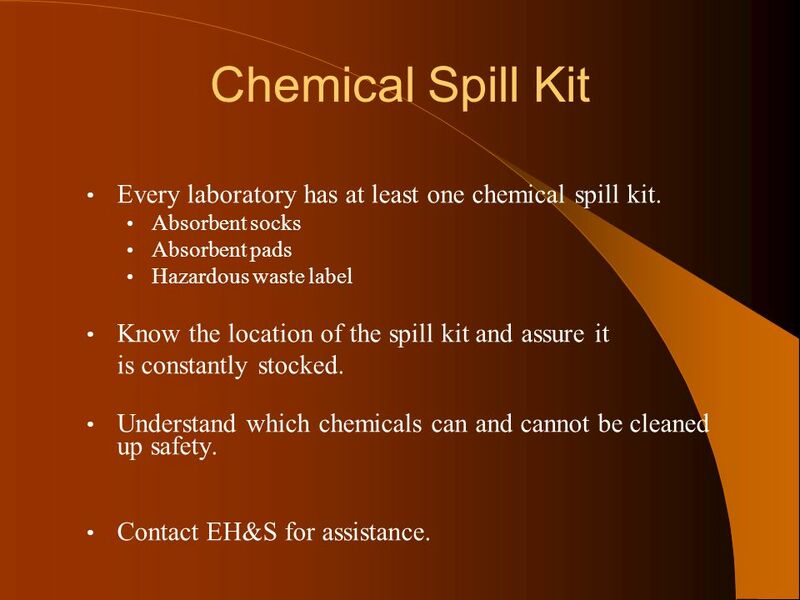 Absorbent socks Absorbent pads Hazardous waste label Know the location of the spill kit and assure it is constantly stocked. 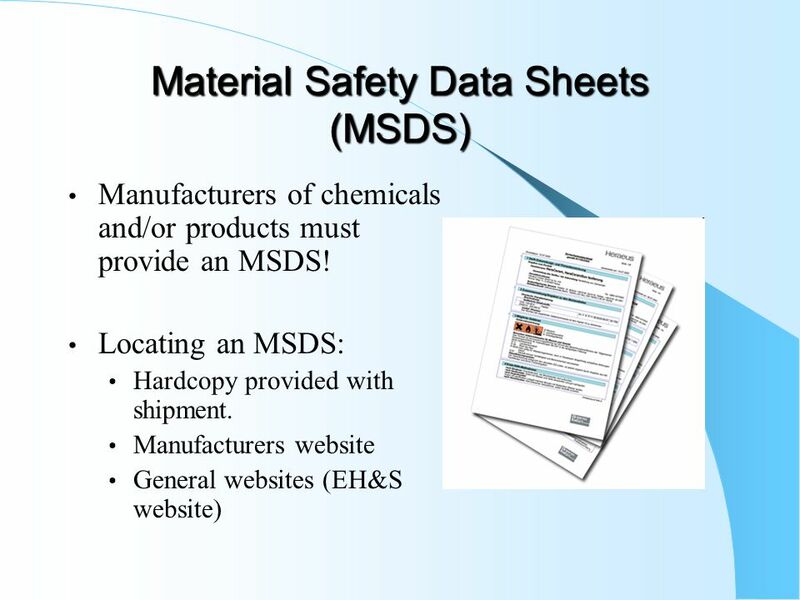 Understand which chemicals can and cannot be cleaned up safety. Contact EH&S for assistance. 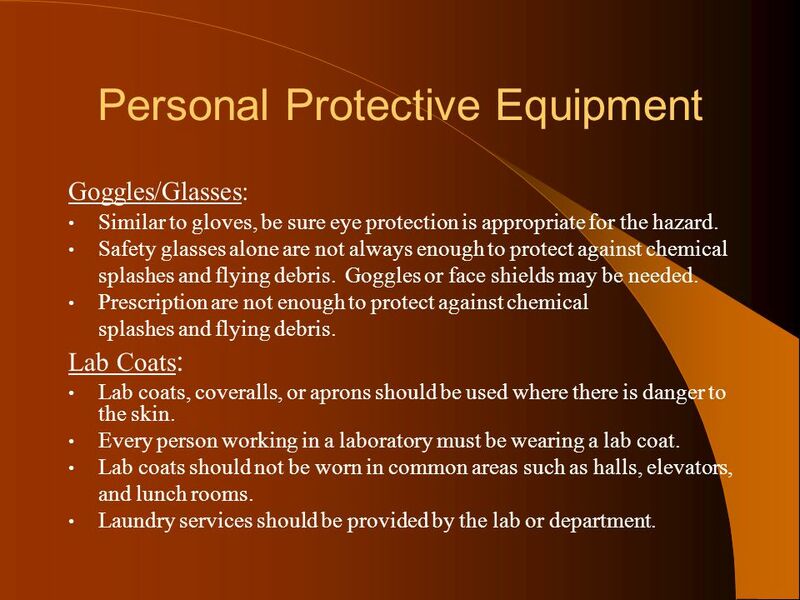 Personal Protective Equipment such as gloves, safety glasses, and lab coats should be provided by the lab or department. Gloves: No one glove material is best for all chemicals. Choose the glove with the lowest permeability for the chemical you are using. Glove-Chemical compatibility charts Material Safety Data Sheets Environmental Health and Safety Department Reusable gloves should be inspected prior to use. Remove lab gloves and dispose appropriately to avoid exposure. Goggles/Glasses: Similar to gloves, be sure eye protection is appropriate for the hazard. Safety glasses alone are not always enough to protect against chemical splashes and flying debris. Goggles or face shields may be needed. Prescription are not enough to protect against chemical splashes and flying debris. Lab Coats: Lab coats, coveralls, or aprons should be used where there is danger to the skin. Every person working in a laboratory must be wearing a lab coat. Lab coats should not be worn in common areas such as halls, elevators, and lunch rooms. Laundry services should be provided by the lab or department. 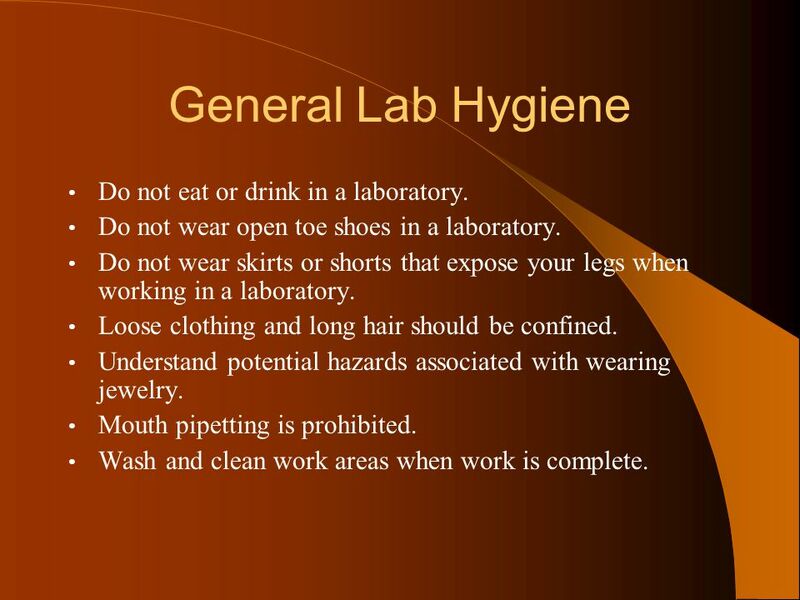 49 General Lab Hygiene Do not eat or drink in a laboratory. Do not wear open toe shoes in a laboratory. Do not wear skirts or shorts that expose your legs when working in a laboratory. Loose clothing and long hair should be confined. Understand potential hazards associated with wearing jewelry. Mouth pipetting is prohibited. Wash and clean work areas when work is complete. 50 Cryogenic Liquids Always wear adequate protective clothing, eye and face protection and heat resistant gloves when dealing with cryogenic liquids. Store liquid nitrogen, dry ice and any other liquefied gases in well-ventilated areas. Do not store in walk-in cold rooms, as these are not ventilated Seal sample tubes tightly before storing in liquid nitrogen. Improper sealing of tubes can cause an explosion upon removal from liquid nitrogen temperatures. 51 Pending the content, various levels of training is needed. 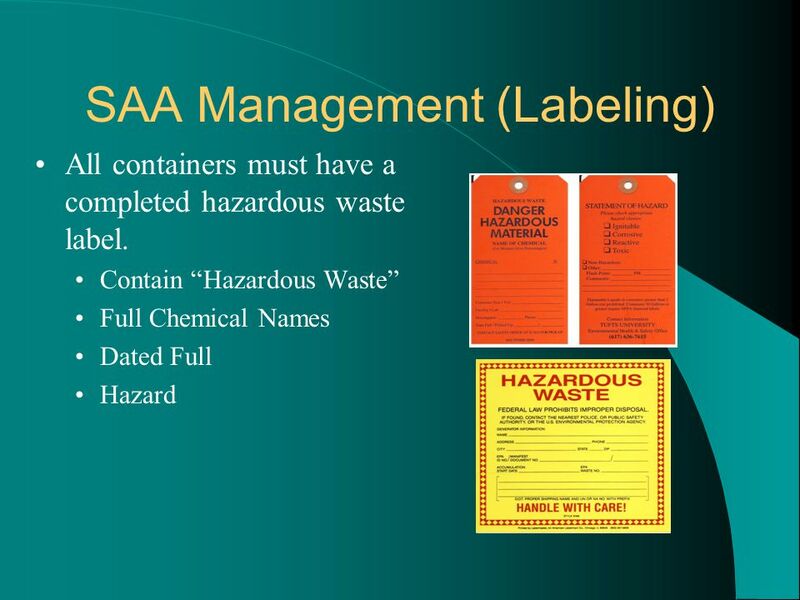 Shipping Materials No one should ship or participate in the packaging or preparation of biological or chemical material without completing the required training. Failure could result in penalties of $30,000. Pending the content, various levels of training is needed. 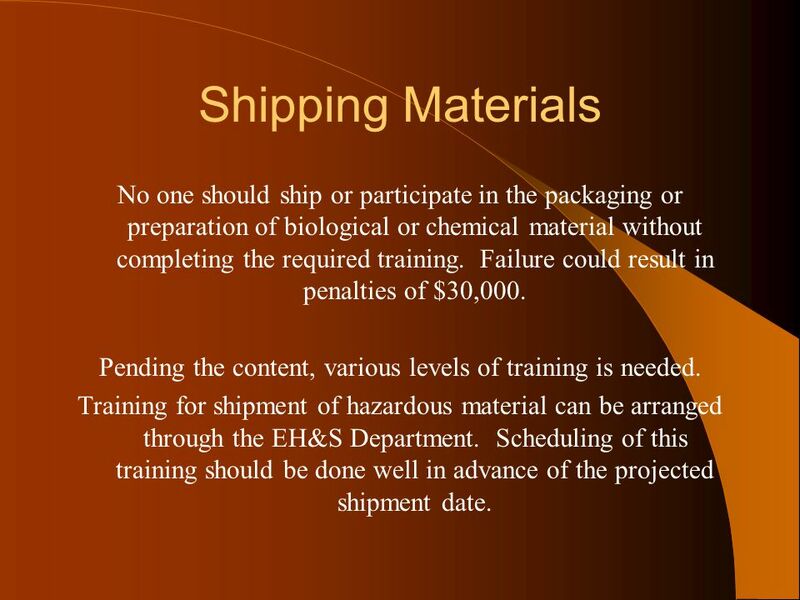 Training for shipment of hazardous material can be arranged through the EH&S Department. Scheduling of this training should be done well in advance of the projected shipment date. 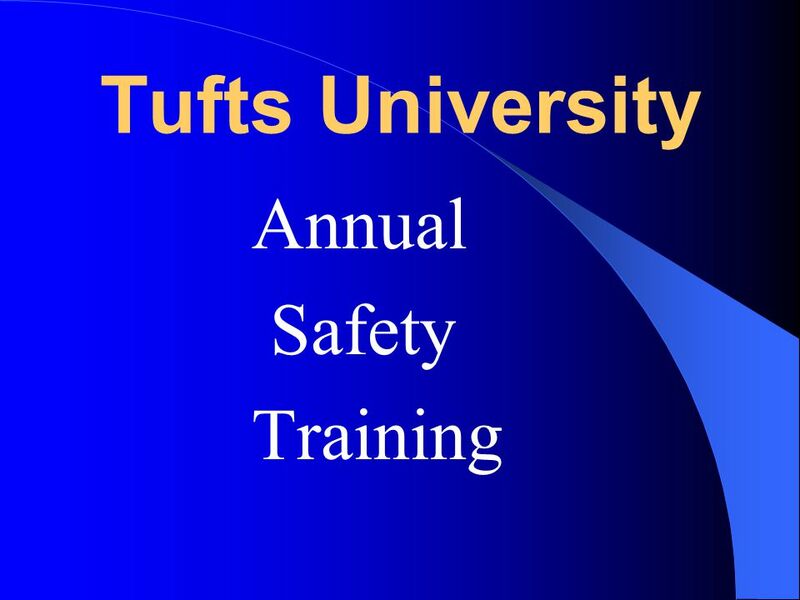 Download ppt "Tufts University Annual Safety Training." 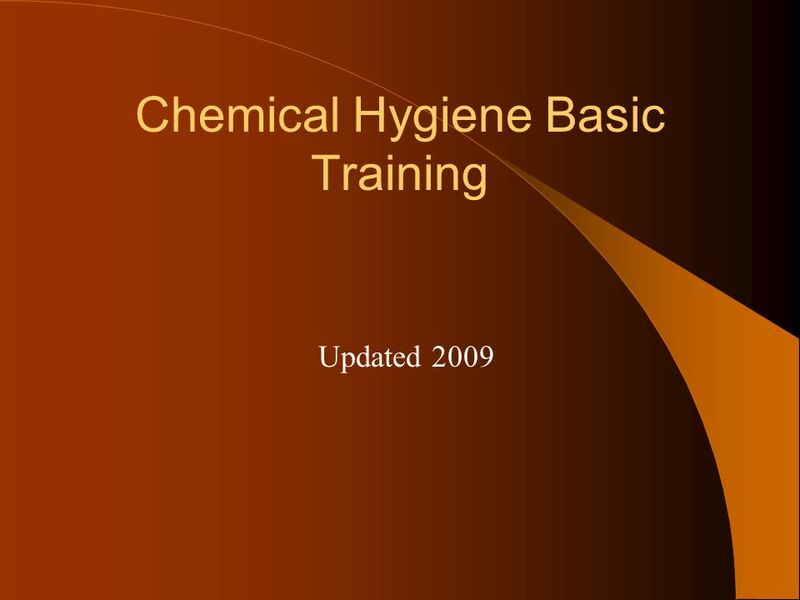 INTRODUCTION Working with chemicals has been historically viewed as a very risky task. 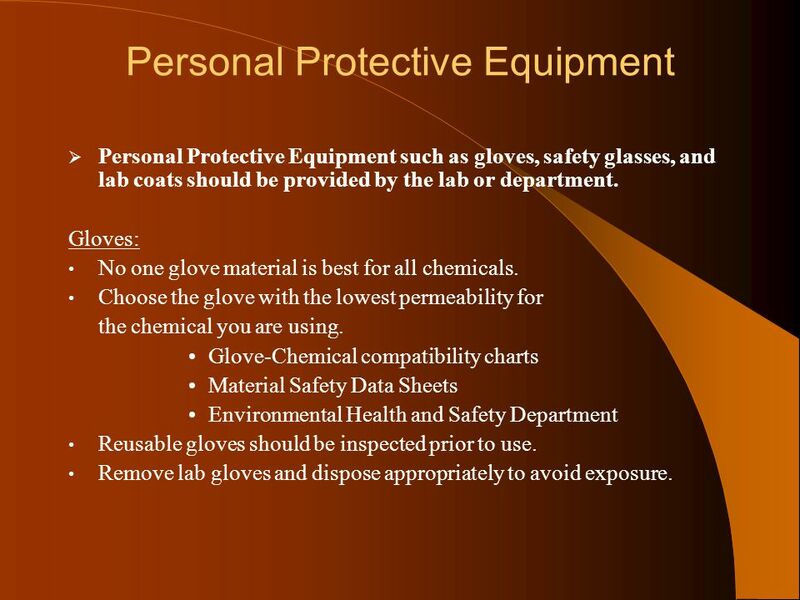 LABORATORY PPE January 7, Introduction What is PPE? Personal protective equipment (PPE) includes all types of equipment used to increase individual. 6/27/20111 PERSONAL PROTECTIVE EQUIPMENT (PPE) Training Program NEW YORK MEDICAL COLLEGE Environmental Health and Safety Department. 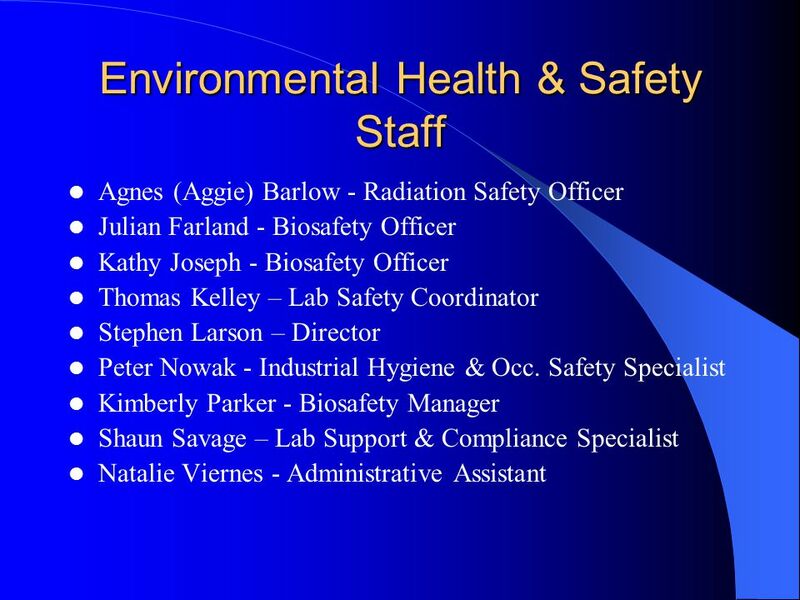 UC Davis Safety Services Monthly Safety Spotlight April 2010: Chemical and Laboratory Safety Safety Discussion Topics Critical Questions to Ask Laboratory.  Violations of the following regulations WILL result in a loss of lab points. 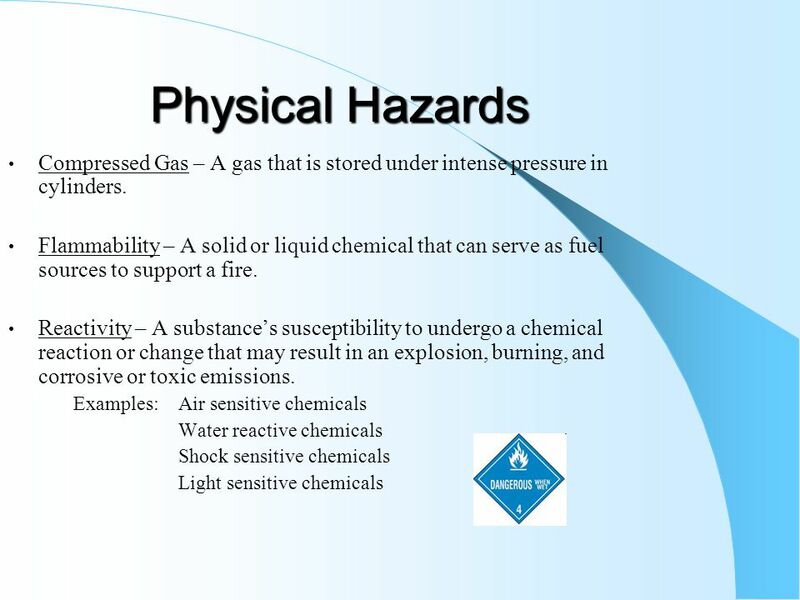 Chemical Safety. 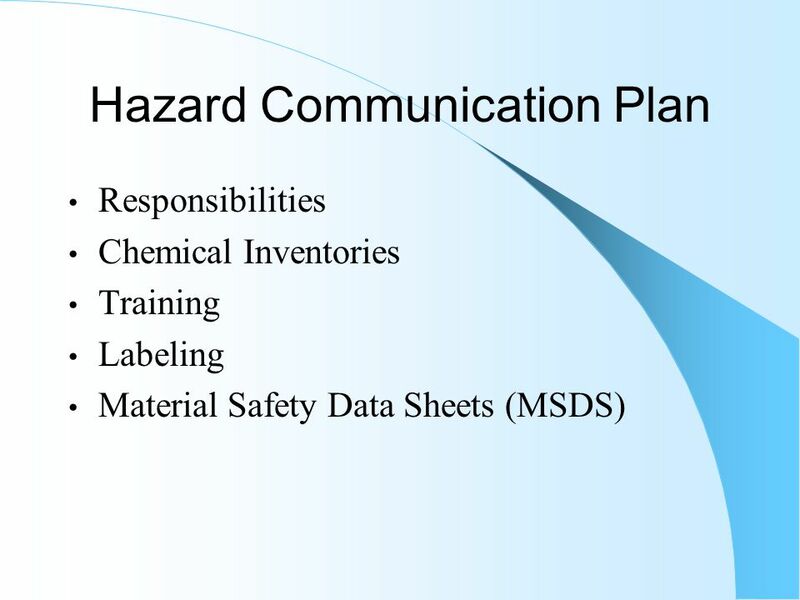 Overview Chemical hazard classes Communication of hazards Routes of exposure Hierarchy of controls Special laboratory hazards. 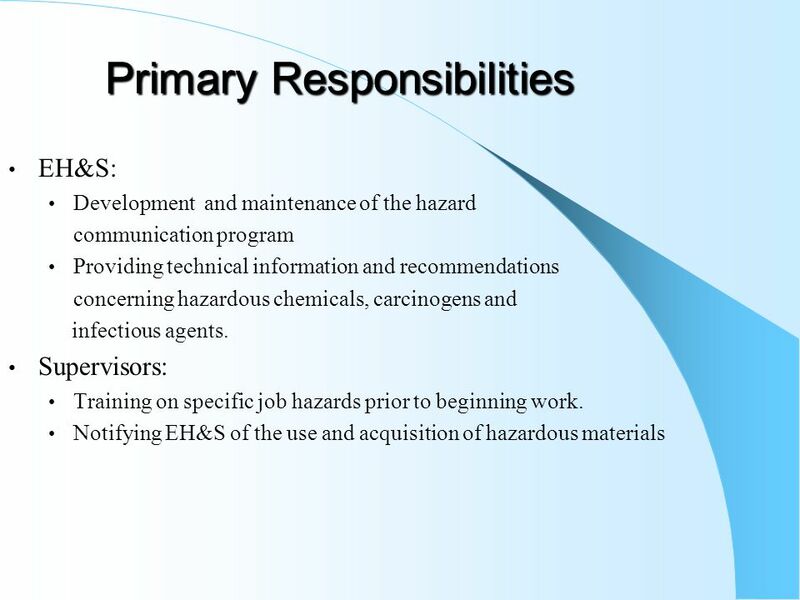 Suzanne Reister, Program Manager Paula Vanderpool, Program Assistant North Central Washington Workers’ Comp Trust Chemical Hygiene – Hazardous Chemicals.  MIOSHA Standard for Hazardous Work in Laboratories  Methods and Observations Used to Detect the Presence or Release of a Hazardous Chemical  Permissible. Unit 1. Lab Safety video I TO PREVENT: __________________________________________ __________________________________________ exposure to __________________________________________. 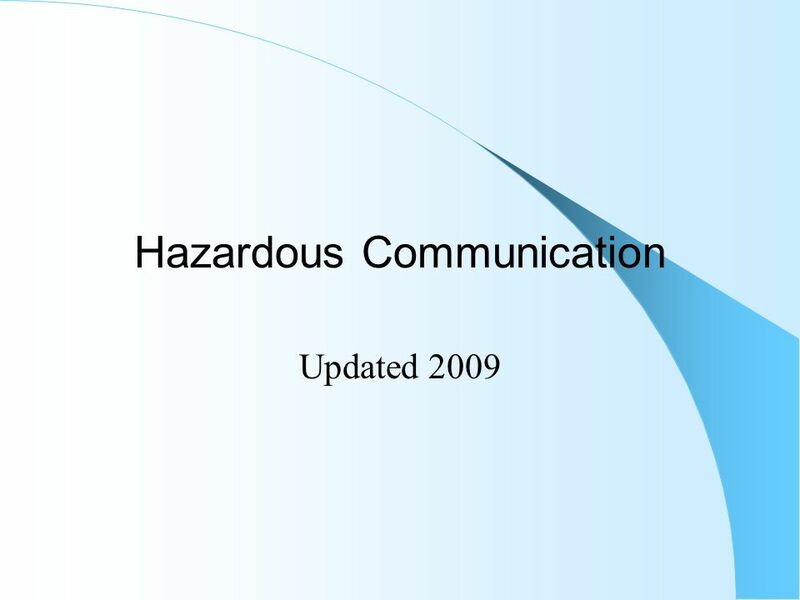 SUNY INSTITUTE OF TECHNOLOGY AT UTICA/ROME Environmental Health and Safety RIGHT-TO-KNOW HAZARD COMMUNICATION REFRESHER TRAINING FOR FACULTY & OFFICE STAFF. 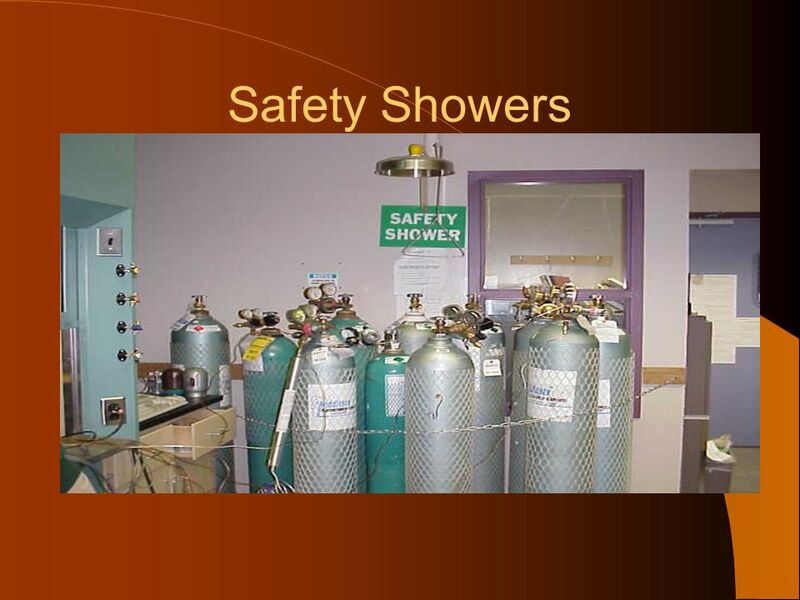 LABORATORY SAFETY Presented by The Office of Risk Management Loss Prevention. Confined Space Rescue Level I Technical References: Mod 3.